Torretta 1 is on the ground floor, and it is perfect for a couple. 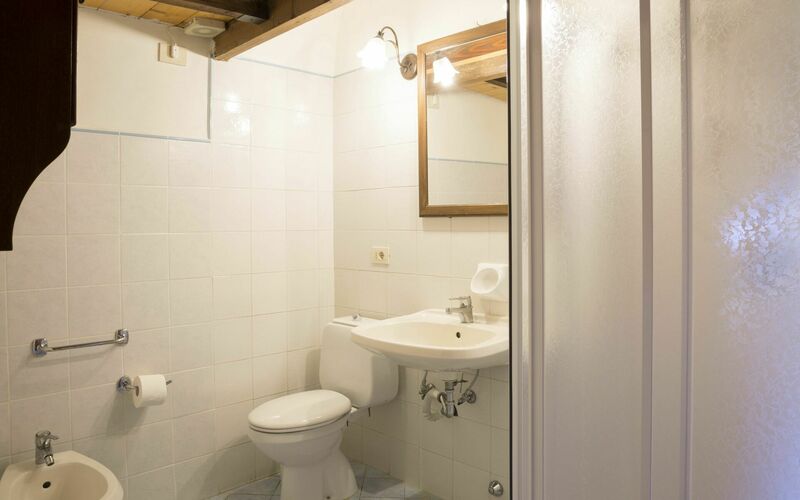 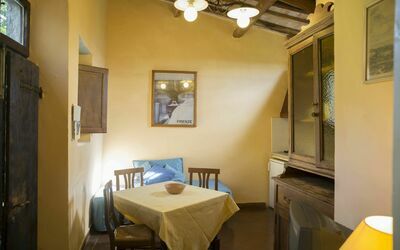 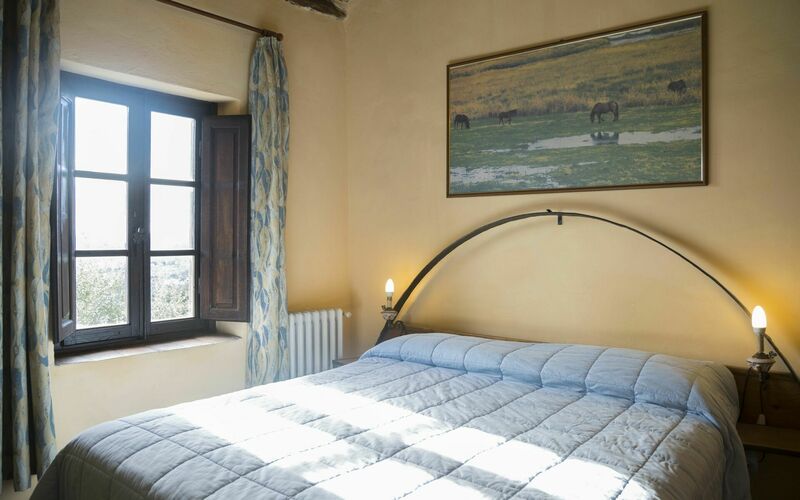 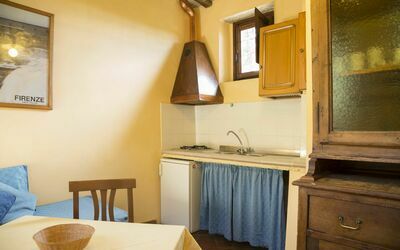 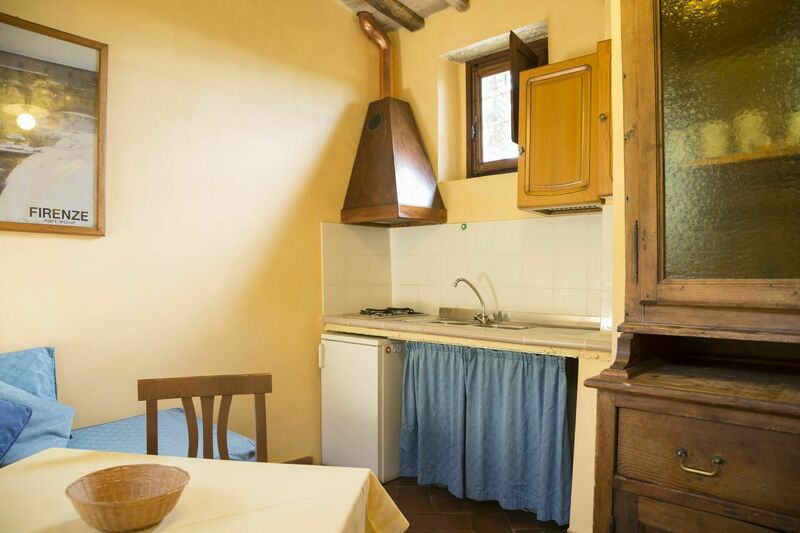 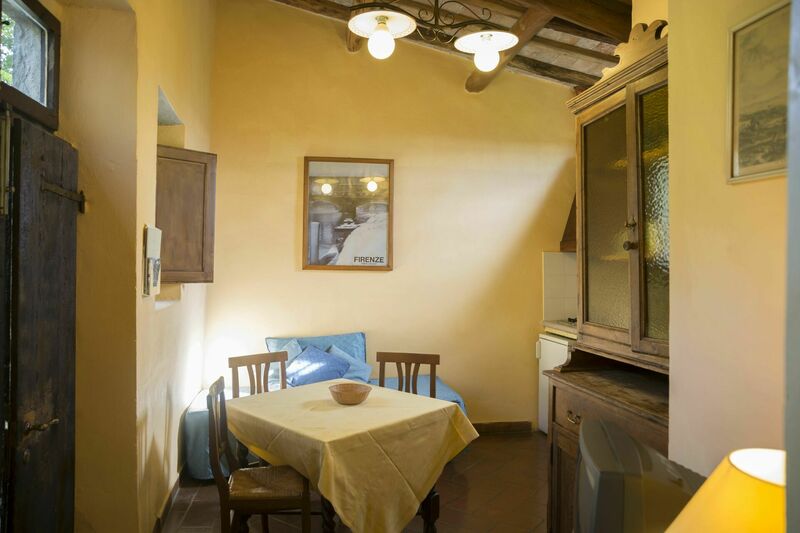 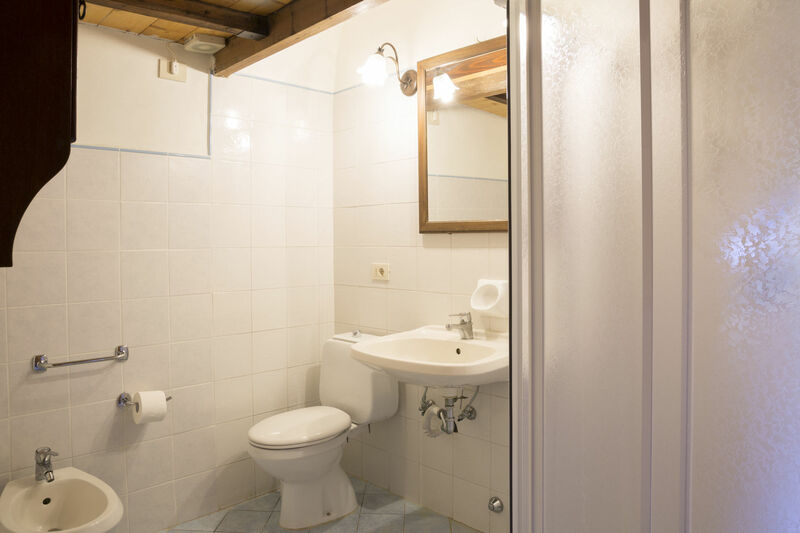 It consists of a living room with a kitchenette, a bedroom with nice views over the village of Pelago and the river Arno, and a bathroom with shower. Terrace is provided with a table and chairs at guests' disposal.